May 31, 2017 - Watch a giant Huntsman spider eat a cricket while sitting on a man's hand. Huntsman spiders don't use webs to ensnare prey, they catch and then immobilize targets with their venom, and wrap their dead victims in silk. 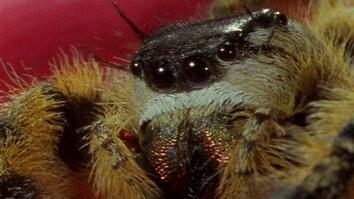 They range in size from less than an inch to nearly six inches across. 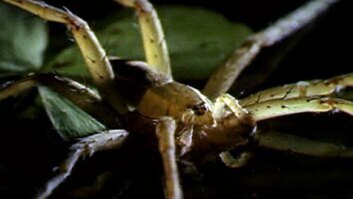 Huntsman spiders can inflict painful bites, but aren't considered dangerous to people. 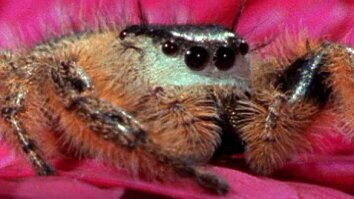 They most often eat insects and other spiders, but occasionally they eat bigger prey like mice. Click here to read more about the Huntsman.